The RDL-15 is a new generation high-mobility field-operable biological laboratory. This device is applicable for fast and high-sensitivity identification of pathogen microorganisms and expend to high biosafety laboratory conditions. 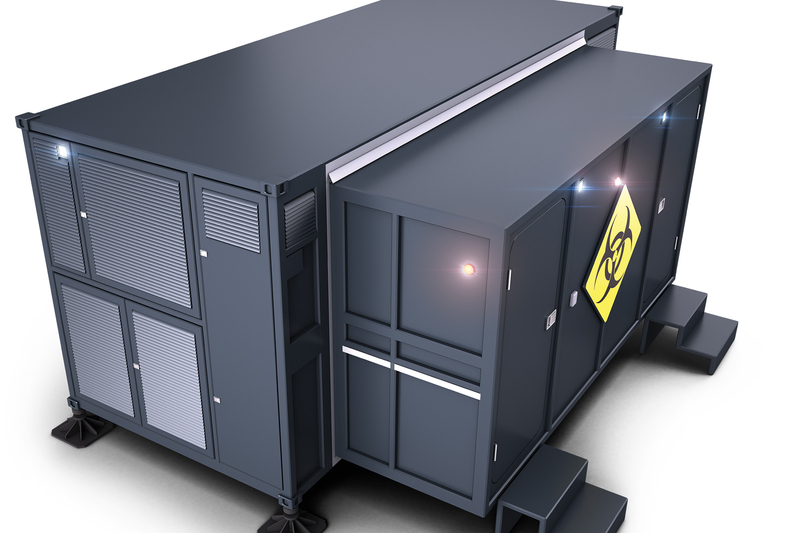 The RDL-15 provides a solution for completing the existing capability gap in the fields of civilian biodefence, epidemiology, and disaster management. Laboratory processes (technology, methods): BSL container - “BSL-4 glove box” laboratory environment; PCR container - sterile molecular laboratory environment. The RDL-15 is unique capability within the NATO and EU countries due to its extremely wide and flexible applicability to different tasks. The own-developed, wide range laboratory method and reagent stock, the modular structure, and the significant professional knowledge and experience of the laboratory staff give the possibility of such flexibility of the laboratory.